The Hockey Referee Assigning Organization (HRAO) was founded in 2011 by Jeff Fulton. 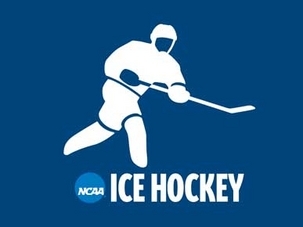 The organization currently has 300+ officials from Vermont to Maryland that are registered with HRAO and are available for assignments to college hockey games for the New England Hockey Conference (NEHC) Men’s & Women’s, NESCAC Men’s & Women’s, SUNYAC Men, Colonial Hockey Women’s League, and Colonial Hockey Conference Men’s & Women’s Hockey Leagues. Officials are recruited through various college officials associations and are trained and evaluated through the HRAO. The current HRAO staff includes the highest quality of officiating who have resumes that include: NCAA Division I and III Men’s and Women’s National Championships, Olympics, American Hockey League (AHL) and USA Hockey National Championships. Jeff Fulton is the president and founder of HRAO – Jeff has worked as an on-ice official for the ECACHL, Atlantic Hockey League, MAAC and the ECAC (including NESCAC, Colonial Hockey Conference, NESCAC, and ECAC East) for 25 years in total. Over Jeff’s career he has officiated a NCAA Division I National Championship Game, NCAA Division 3 National Championship Game, Pro Hockey, IIHF games and USA Hockey National Championships. Jeff’s current involvement with the NCAA include: NCAA Division I NCAA Replay Official over the past 11 seasons including Regional games and the Frozen Four. Division III NCAA on-site representative for the NCAA D3 ice hockey tournament games as well as the NCAA officiating liaison for the Division III National Championships. Bill Sapelli has been involved with hockey in many capacities since 1977. Beginning as the Varsity Ice Hockey Coach for Agawam High School, he led his team to the Division I Western Mass. Championship in 1978. In 1979, he became a member of the National Ice Hockey Officials Association (NIHOA) serving as an on-ice official. Moreover, he has been their Referee in Chief since 1987. Bill served as an Assistant Ice Hockey Coach at Westfield State University (then College) from 1983-1985. In 1985, he joined the ECAC officiating team working the Divisions I, II, and III men’s and women’s games. Since that time, he has assigned various Division III leagues, including the Northeast, ECAC East, and the NESCAC men. Bill is currently assigning ECAC East and NESCAC men for HRAO. In 2000, the Massachusetts Interscholastic Athletic Association (MIAA) appointed Bill to be the Western Mass. Tournament Director, a position he held until 2012. He is now serving on the MIAA Ice Hockey Committee as their Superintendent Representative. In 2008, Bill was selected by the ECAC to receive the George L. Shiebler Award in recognition of his dedication to furthering college ice hockey programs. Also in 2008, Bill was honored by the American Hockey League’s “Springfield Falcons” with the Golden Stripes Award for his 30-plus years of dedicated service to on-ice officiating. In addition to his hockey-related activities, Bill has had an extensive 37-year career in education with the Agawam Public Schools. Thirty (30) of those years were spent as an administrator advancing from assistant principal, to principal, and then assistant superintendent. Bill presently serves as the Agawam Public Schools Superintendent of Schools, a position he has held for the past 4 years. Contact us if you are interested in Hockey Officiating assigning services or would like to learn more about the HRAO.